Fish in their homes: Not quite like we're used to seeing them. 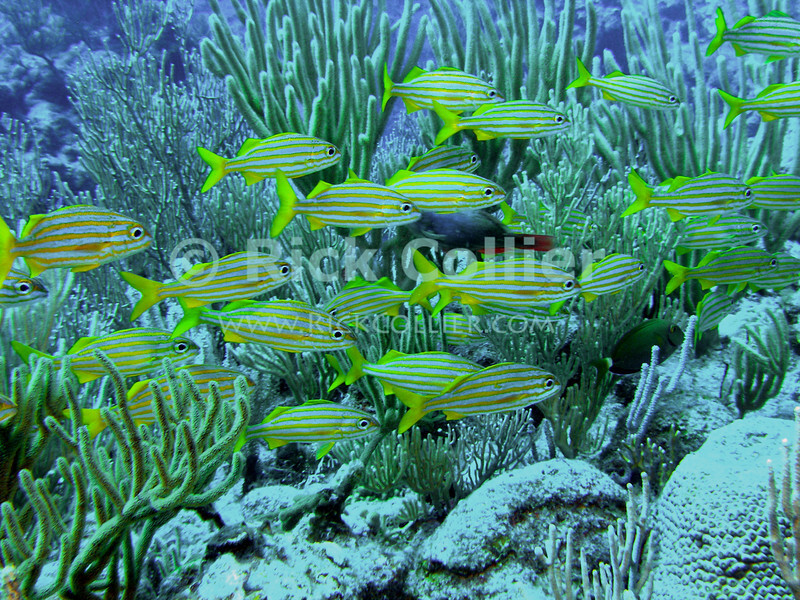 A school of grunts swims across a reef. St. Eustatius (Statia), Netherlands Antilles.